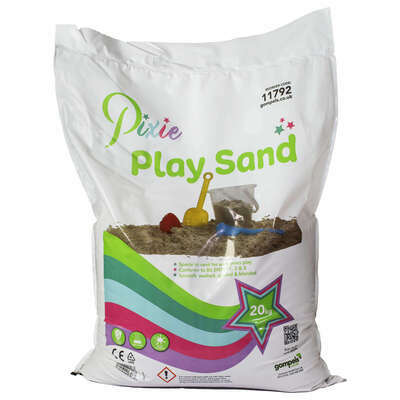 Developed for use in nurseries and preschools, our Play Sand is supplied in a large and economic pack size. It features finely graded, sub-rounded grains that help to prevent both skin and eye irritation while also being non-toxic and non-staining. Each grain has been carefully washed and finely sieved to removed microorganisms, toxins and impurities - ideal for use with smaller children and leading to highly engaging play sessions. Add to your outdoor play resources and allow them to build magical worlds with this engaging play sand. Consider using with our Sand Tray.